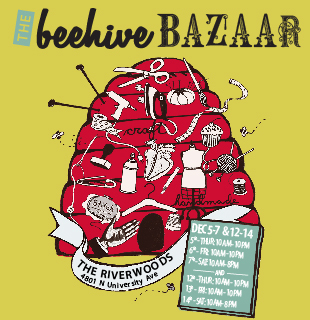 Shop for handmade holiday gifts at the Beehive Bazaar at the Shops at Riverwoods in Provo. Taking place December 5-7 and 12-14 from 10:0 a.m. to 10:00 p.m. The Bazaar showcases work from 90 independent local and national artists and crafters. Great place to shop for Christmas gifts with Utah flair!